fostering climate resilience and low greenhouse gas emissions development. Plant Summit in Paris on 12 December 2017 to this objective. India’s support to the initiative to work on a Global Pact for the Environment. 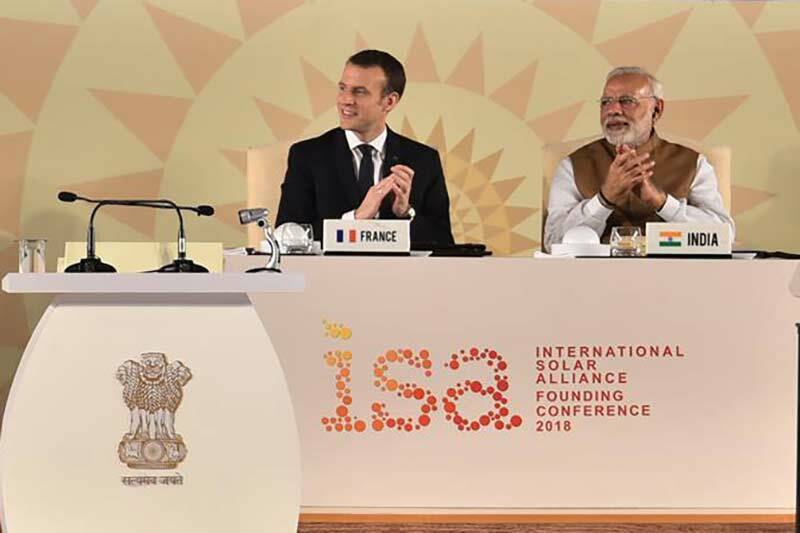 Solar Alliance (ISA) in New Delhi. situated in Gurugram, in the outskirts of New Delhi. Capricorn. These countries represent 73% of the world’s population. coalitions to combat climate change. launch a first phase of fundraising. and (3) combat climate change. products to needs and improve technologies. quality in the use of products by member countries. for massive solar energy deployment. and framing regulations and standards to support the initiative. basket, provide cheaper electricity and cut carbon emissions. understanding the importance of solar energy, much needs to be done. European country’s commitment to the alliance and clean energy. funds to support the development of solar energy. funds and financial institutions and energy-related institutions. built by a French company in the Indian state of Uttar Pradesh. range of Uttar Pradesh Power Corporation Ltd, officials said.